About: Prof. Boyd teaches magazine writing, critical writing and narrative journalism. Her research interests include narrative nonfiction, arts criticism and cultural reporting, and race and gender issues in media. She is the Charlayne Hunter-Gault Distinguished Writer in Residence, and she is the founder and director of Grady’s innovative low-residency MFA Program in Narrative Nonfiction. Prof. Boyd is interested in narrative nonfiction writing across platforms, including digital narratives, magazines, newspapers, books and film. She is also interested in American history, arts and culture as well as race and gender issues in media. 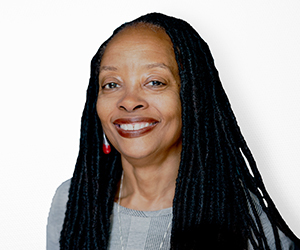 Prof. Boyd is the author of the award-winning biography, “Wrapped in Rainbows: The Life of Zora Neale Hurston.” She is currently curating and editing the journals of Pulitzer Prize-winning novelist Alice Walker. “Gathering Blossoms Under Fire: The Journals of Alice Walker” will be published in 2020 by Simon & Schuster/37Ink. Prof. Boyd’s teaching interests include narrative nonfiction, immersion journalism, arts criticism, cultural reporting, and magazine and feature writing. Formerly the arts editor at The Atlanta Journal-Constitution, Prof. Boyd has written about the intersection of race, arts and culture for numerous national and regional magazines, newspapers and online outlets. Her articles, essays and reviews have appeared in such publications as The Washington Post, The Los Angeles Times, Paste, Ms., Essence and Atlanta Magazine. She founded EightRock, a cutting-edge journal of African-American arts and culture, in 1990. In 1992, she co-founded HealthQuest, the nation’s first nationally distributed magazine focusing on African-American health. For her work on “Wrapped in Rainbows: The Life of Zora Neale Hurston,” Prof. Boyd received the Georgia Author of the Year Award in nonfiction as well as an American Library Association Notable Book Award. And the Southern Book Critics Circle honored “Wrapped in Rainbows” with the Southern Book Award for best nonfiction of the year. In 2017, Prof. Boyd received a Governor’s Award for the Arts and Humanities.